Police detained Maryam and Tamila Dadashev during their attempted purchase at the Moscow motor show of a new Ferrari. 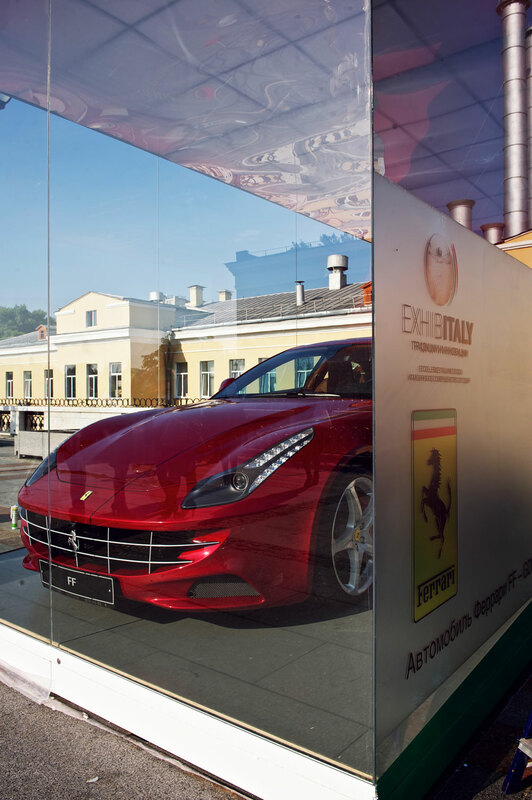 With help from Sberbank’s security service, police are investigating two of the bank’s employees who were detained while trying to purchase a Ferrari, reports RIA Novosti. "We’re providing law enforcement officials with all the information requested and we’re interested in an objective and thorough investigation. Until the investigation is completed, we will make no further comments," the bank said in a statement. Earlier, Kommersant reported that police detained sisters Maryam and Tamila Dadashev during their attempted purchase at the Moscow motor show of a new Ferrari with a price tag of 7 million rubles ($122,000). The Dadashevs abused their position at Sberbank to transfer 40 million rubles ($700,000) from various corporate client accounts to dummy accounts, from where the money was withdrawn a few days before visiting Ferrari to make the purchase. Kommersant said the 26-year-old Maryam was a client manager in Sberbank’s branch on Bolshaya Andronievskaya Street; and the 22-year-old Tamila worked in a similar position at the branch on Lyusinovskaya Street. Both ladies serviced small businesses.